Flagship Nungambakkam is sure to provide travellers with a refreshing and uplifting experience with its bright, well-lit rooms and minimalistic style. The rooms area designed largely with a light coloured palette and occasional dark wooden accents. The windows are covered with blinds, adding to the simplicity of the decor. A mini fridge is provided with the rooms, where guests can store required food items and beverages close at hand. The property offers free WiFi service, parking facility, elevators, power backup and laundry service. Card payment is accepted and a CCTV camera setup is in place for added security. 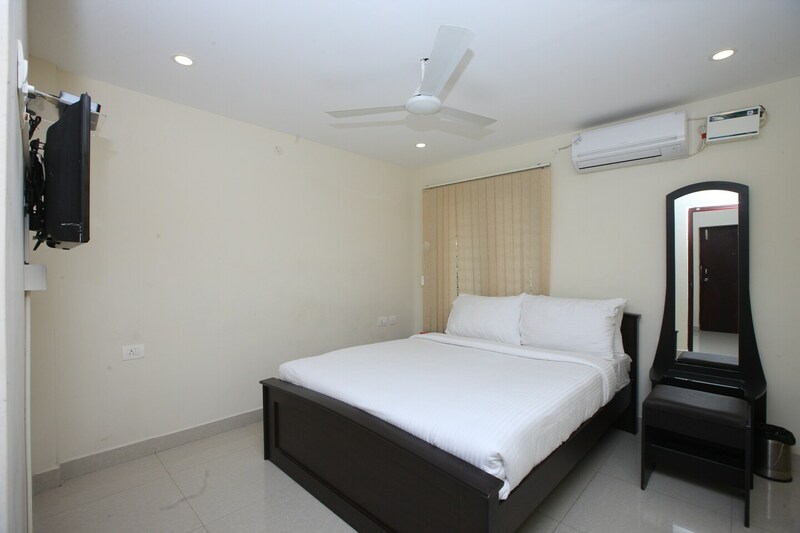 The property is located close to the Kodambakam railway station, making travel easier for guests.